CabCo TV Channel 22, the only around-the-clock source dedicated solely to Cabarrus County, airs information about events and services offered by the county and other local governments. Channel 22 is accessible on local Spectrum Cable, but is not available through satellite television services. All programming is also accessible on our streaming channel, government YouTube channel and Amazon FireTv app. All programs are available on Time Warner Cable Channel 22 throughout the day and on demand 24/7 on YouTube. Most shows on the broadcast channel do not have set air times. Only the Commissioners meetings and certain special programs have set air times. See the program schedule for minute-by-minute air times. Agenda-setting work sessions and regular monthly meetings are broadcast at 1 pm and 6:30 pm every day except Saturdays. Saturdays air at noon. Every 3rd Monday a live broadcast of Commissioners regular meeting airs at 6:30 pm. Rowan County Board of Commissioners meeting airs Saturdays at 8 pm. Join David Baxter and Kasia Thompson each week as they go on location to showcase different places in Cabarrus County and share information about upcoming events and activities. Home Economist Pam Outen shares simple and healthy recipes to help families make the best use of time and eat healthier. Judge Clarence Horton takes us on a journey back in time to explore the roots of Cabarrus County through stories of people and places. 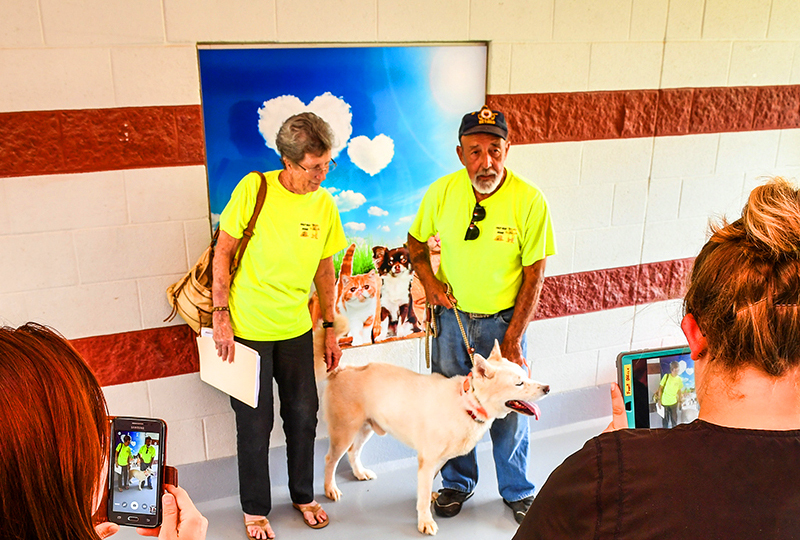 Take a virtual visit to the local animal shelter to find your next pet. The Cabarrus County School Board Meetings air every Wednesday night at 7:30 pm. David Goforth and Pam Outen team up to demonstrate simple cooking techniques and easy adaptations for serving up tasty food found at our local farmers markets. Cooperative Extension Agent David Goforth provides tips for backyard gardening and lawn care for our geographic area. A picture ID and proof of address is required to get a library card. Any eligible non-residents listed above should bring proof of employment/enrollment. Children's cards must be linked to an adult card, who assumes responsibility for those materials. Non-residents may also get a card for a $15 annual fee. For all guidelines and rules regarding library cards, please review our Circulation Policy. How do I schedule or verify a Transportation appointment? If you are already an active rider with the Transportation Department, call 704-920-2246 to request a ride or verify your pickup time. If not already active, call 704-920-1583 to complete an assessment and be entered into the system. To schedule a pick up, you must call no later than 1 p.m. the day before the appointment. If the appointment is on Monday, you need to call by 1 p.m. on the Friday before. You can schedule rides up to two months in advance. My pet is lost, what can I do? View our lost and found to see animals currently in custody of Cabarrus County Animal Control. Check other resource tips on finding a lost animal.